Scotland is one of the North European countries and is famous for various tourist destinations. The landscape of Scotland will leave your eyes gaping. The popularity of Scotland is credited to various things from castles to whisky. The national dress of Scotland has become world renowned. When it comes to satiating your taste buds, Scotland is known to have a luxurious tradition in food as well as drink. The dish which is most famous in Scotland is Haggis. As far as drink is concerned Scotts make great drinks. A person, who has a real taste of whisky, will feel pleased to drink the outstanding malt whisky made by the Scottish. 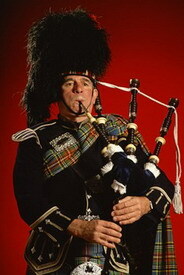 For centuries, the sound of the bagpipes is now considered as the conventional sound of the moorland. The rich history of Scotland has made it a point of attraction for tourists. The magnificent castles as well as forts are a treat to watch. Standing on the top of the Edinburgh castle, you can easily have a look of the whole city, and the view is mesmerizing. This colossal building has been serving as a shield to the English Rulers as well as Scots. The castle which has been governed the history of Scots for a long time is Stirling Castle. If the serene and placid beauty of nature captivates you then Aviemore area is an ideal place to visit. The Aviemore is a splendid place of awe-inspiring landscapes and mountain ski resort. 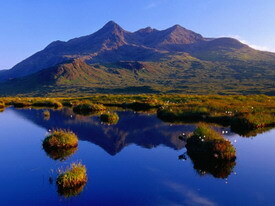 The Island of Skye is amongst the finest tourist destinations of Scotland. Glassgow know to be the center of art as well as architecture is also a famous tourist destination of Scotland. Visiting several other tourist destinations in Aberdeen such as parks, gardens, historical sites, castles, shopping arcades will give you a plethora of fun together. 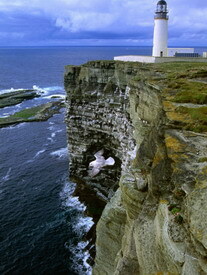 Orkney is an island group positioned at a distance of few miles from the North-eastern tip of Scotland. This is a perfect place to be for you if you are seeking for hills, green fields, sandy beaches, as well as rugged cliffs. If you want to spend some moments by the lakeside then you can also spend your time fishing in the Orkney's water as it is absolutely free of charge here. On a lazy evening you can spend time watching birds, which is considered to be a famous activity in the Islands. With all the beauty of nature coupled together at a single place, one could not have asked for more. Apart from all this various other places in Scotland are Gothic cathedrals, Victorian buildings, Burrell art collection along with the popular Tenement House. The other must see Scotland's tourist destinations comprise in Dundee, Inverness, Perth, and St, Andrews. The industry of digital entertainment is has a major connection with the Dundee, which is responsible for 10% of the total share. Dundee also registers fame for the Scottish Dance Theater, along with two famous universities such as the University of Abertay Dundee and the University of Dundee. Choosing Scotland for a holiday will be lucrative and you will have a thrilling time. If you are looking forward to visit Scotland then the time of the year that will make your trip exhilarating is May to August as the weather is extremely pleasant. You might find that visiting makes you fall in love with all that Scotland has to offer. If you do it's easy to move to Scotland as it's part of both the UK and the European Union. Business owners likewise find it easy to set up shop with office space in Aberdeen, Edinburgh, Glasgow, Inverness, Perth easy to obtain. About the Author - Bob Hall has been writing articles about travel for 4 years now. He likes to travel also and recently installed a navigation systems for cars or sometimes called GPS units for cars to help him find places that he wants to travel.